When I was young, my parents split up, so I was brought up by my grandmother. In those days I always felt very lonely, feeling as if I were an abandoned child. At the age of nine, my aunt led me to believe in the Lord. After that, the sorrow in my heart was gradually healed and I became quite happy. Especially, each time when attending the meeting and singing hymns to praise God with my brothers and sisters, I felt peaceful and joyful in my heart. In October of 2011, I arrived in Japan to study. At the beginning, I had to face all the issues by myself. Not only did I need to attend school, but I had to work to earn money to pay my tuition. Due to the language barrier, I could only do some manual labor. The pressure of study and the onerous work made me somewhat breathless. When being suffering and without recourse, I thought of the Lord Jesus and then I poured out the miseries in my heart to Him, hoping He could help me. The wonderful thing was that every time when I reached my limit, as long as I prayed to and relied on God, it would be easy for me to solve all the difficulties. Having enjoyed so much of God’s grace, I longed to go to the church to worship the Lord, but there were no Chinese churches around. I didn’t find the church until it was in April of 2013 when I went to another city to study. When just going to the church, I found the sisters and brothers were all loving, and that the preaching of the pastor could help me some. Good things never last. Gradually, I found the pastor went over the old ground when delivering sermons. Usually, when he opened his mouth, we knew exactly what was coming next, so I couldn’t find any enjoyment. During the meetings, the believers would doze off or play with their phones or chat with each other about eating, drinking and having fun; at the end of the meetings, they would pray to the Lord, asking Him to bestow grace and blessings upon them. Their faith and love became colder and colder: When meeting each other, they were without even saying hello; some of them had gone back to the world to earn money and didn’t come to attend meetings anymore. After seeing these phenomena, I was a little negative and my faith was not as full as before; furthermore, sometimes I even didn’t want to go to the church to attend meetings. However, when I thought of the fact that the Lord had bestowed so much grace upon me, I would feel indebted to Him if I didn’t go to the church. Thus I had no choice but to continue attending the meetings. Nevertheless, after getting there, I expected nothing but to go home earlier. Worship of God should have been happy and joyful, but now every time after attending services, I couldn’t feel the Holy Spirit’s work; instead, I appeared terribly fatigued. In the spring of 2017, by chance, I got acquainted with an elder sister who believed in the Lord and Brother Li. After some communication with them, I found Brother Li was a true believer in the Lord and had unique insights into the Bible. Later, he said the reason why the churches were desolate now, our faith and love grew cold, and we all lived in a state of sinning and confessing and couldn’t feel God’s presence was because the Holy Spirit had no longer worked in the churches. Combining with the prophecies in the Bible, he also said that God would come to perform a new stage of work in the last days. What he communicated was logical and justified and solved the confusions in my heart. It turned out that the reason why the churches became desolate was because the work of the Holy Spirit had moved, so the churches didn’t have the Holy Spirit’s work and the believers were all living in the midst of sin. I thought: In the past, when reading the Bible, how come I didn’t see these enlightenments? I must focus my attention on listening to his preaching. Brother Li said, “The Lord Jesus has already come back in the flesh as the Son of man to come into the world and done His work in secret for many years. Christ of the last days—Almighty God is the second coming of the Lord Jesus! The Lord Jesus once prophesied: ‘For as the lightning comes out of the east, and shines even to the west; so shall also the coming of the Son of man be’ (Matthew 24:27). Given that He is called the Son of man, it means God becomes flesh in the image of a person and in outward appearance He looks like a normal and ordinary human. Now the Lord Jesus has already returned to flesh and come to earth, incarnating as a female to do the work of purifying and saving mankind …” When I heard this, my heart was hit by his words all of a sudden, and I thought: God’s return is incarnating as a female to do His work? This isn’t right! The Bible records the Lord Jesus is a male, so when He returns, He should be also a male. How could He be a female? I don’t accept it. I mustn’t listen to his preaching. How can we who believe in the Lord betray and abandon Him? Isn’t it being the greatest disloyal toward Him? With this in mind, rebelliousness swelled within me and I didn’t want to investigate anymore. For the sake of saving face, I didn’t leave immediately, but I was completely deaf to his words and was like sitting on pins and needles, only wanting to leave. After that meeting, I got extremely angry and blamed the sister for my being nearly deceived. So no matter what she communicated with me, I didn’t want to listen to her. In the following several days, I often thought of what the Brother Li had preached, pondering that whether the Lord’s return was true or not and whether or not Almighty God and the Lord Jesus were one God. These made me not sleep or eat well, work downcast and dejected, and feel tormented inside. Afterward, I quieted my heart and thought: Actually, Brother Li’s fellowship was all on the basis of the Bible and was really reasonable. After hearing that, I felt especially enjoyable in my heart. Moreover, the reason for the desolation of the church and mysteries in the Book of Revelation he fellowshiped about were something that the pastor of the church is unable to talk about. But he said the Lord had returned as a female; how is this possible? No, I must figure it out, because the arrival of the Lord is a major event and this is not something to be trifled with. If Almighty God truly is the return of the Lord, but I give up without seriously investigating, will I not miss the opportunity to welcome the Lord? After thinking the matter over and over again, I decided to do thorough pursuit and investigation again on the weekend. After hearing his fellowship, I suddenly saw the light and this matter which was gnawing at my mind disappeared almost instantly. I thought: Right, God’s essence is spirit. Spirits aren’t differentiated into sexes. Regardless of whether God being incarnated as a male or a female, He is all based on the needs of the work and is in order to save man. Furthermore, what form God takes when He does His work is His choice. How could we be qualified to make the decisions for Him? The Bible records that in the beginning, God created man and woman in His image, so why can’t God return as a female? Before, I believed that the Lord Jesus is a male and that He would surely return as a male; if the returned Lord is not a male, then He is false. Wasn’t I defining God? I was too arrogant and senseless! Thank God! At that time, my notions about God’s return as a female was solved. Then he also fellowshiped with me about the truth—the mysteries of God’s incarnation, the inside story and the essence of the Bible, the significance of the work of judgment by God in the last days, and so on, which solved many of my confusions and troubles. So, the more I listened the clearer I became, and the more enjoyment I felt. What’s more, through my interactions with the brothers and sisters from the Church of Almighty God, I felt their fellowship was enlightened by the Holy Spirit and was very helpful to me; moreover, they were sincere in treating others and had love for others; they were innocent, candid and honest. Here I felt at home and felt very warm. This was something that I did not experience at the church I attended in the past. Over a period of investigating, I had confirmed from within my heart that Almighty God is the second coming of the Lord Jesus and that Almighty God’s words are the truth: Not only have they revealed all the mysteries of God’s six-thousand-year management plan and the destination and end of mankind, but they have authority and power and have exposed and dissected the substance of our nature and the truth about our corruption, which made me sincerely convinced and feel embarrassed. Hence, I happily accepted Almighty God’s work in the last days. Later on, as long as I had time, I would read God’s words and watch the various movies and videos of the Church of Almighty God. The more I read and watched, the more enlightened I became and I have understood many truths that I didn’t understand in the past. I thought: By the grace of God I had the good fortune to welcome the return of the Lord. Nowadays, there are also many sisters and brothers who truly believe in the Lord looking forward to His coming, and God feels anxious. Therefore, I must be considerate toward God’s desires to repay His love, making more people hear His voice and return before His throne. Hence, I spread the gospel to several sisters and brothers of the former church. After listening, they were willing to investigate and accept it and ultimately followed the footsteps of the Lamb. Now I have believed in God for nearly a year. During the period, I felt like I have gained a lot. In the past, I felt belief in God was something very simple, thinking all we need to do was just attend meetings and read the Bible. 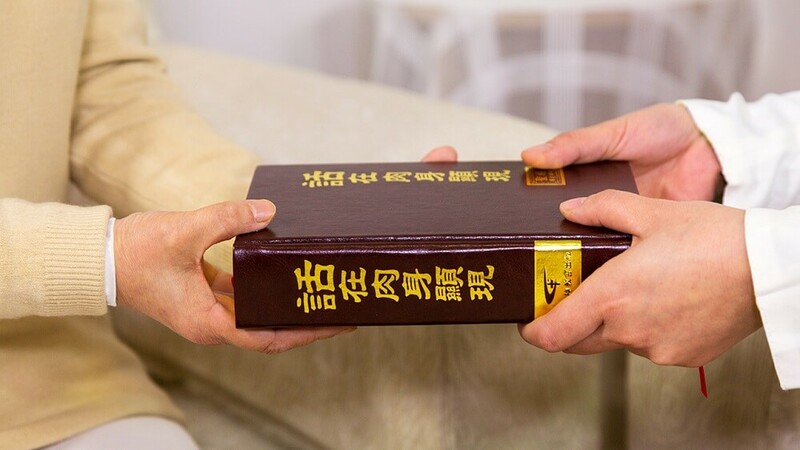 Afterward, I read Almighty God’s words, “True faith in God means experiencing the words and work of God based on a belief that God holds sovereignty over all things. So you shall be freed of your corrupt disposition, shall fulfill the desire of God, and shall come to know God. Only through such a journey can you be said to believe in God.” I came to understand what it meant to have true faith in God—Since we believe in God, we must believe His words, experience His work and put His words into practice. Only in this way can we understand the truth and have true knowledge of God. After accepting the work of Almighty God of the last days and through experiencing His judgment and chastisement, I’ve finally seen that I have been too deeply corrupted by Satan and that I was too arrogant and senseless. When it came to the arrival of the Lord, I didn’t seek or investigate, nor did I have fear of God in my heart and instead defined God with my conceptions and imaginations. Wasn’t I just believing in God and yet resisting God? It was God’s mercy that allowed me to hear His voice and accept His judgment and purification in the last days. By continually reading God’s words and experiencing His judgment and chastisement, I understand some truth, see my own God-resisting and God-betraying satanic nature more and more clearly and also have some understanding of God’s holy essence and His righteous disposition intolerant of offense. Unconsciously, I’ve developed a reverence of God and a thirst for the truth and I keep a lower profile than I did before. When I’m confronted with things, I can consciously deny and forsake myself to practice the truth. This is all the result reached through God’s judgment and chastisement. If I continued believing in God in the church, not only would I not know the work of God of the last days, but I wouldn’t be able to escape from my satanic disposition, receive cleansing or be saved by God. Thank God for leading me to come out of the vague religious belief, keep up with His footsteps and step onto the proper path of believing in God. Can God Only Incarnate as Male? 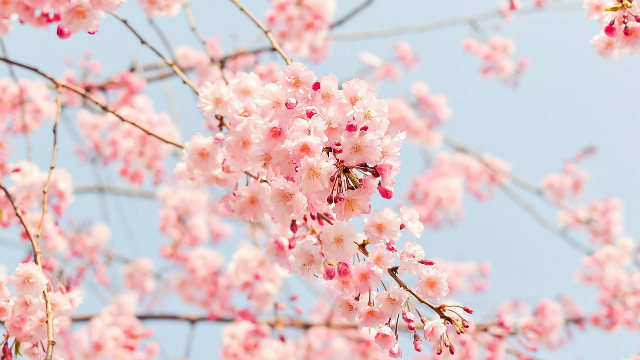 By Yang Jian When I believed in the Lord Jesus in the church of Justification by Faith, I often read and recited the Bible and often heard the pastors and elders preach, “In believing in the Lord, one could not depart from the Bible. Departure from the Bible is not..
By Amy, USA Welcoming the Lord is the greatest wish for all who long for His return. By the grace of God, I welcomed His return. My heart is full of gratitude toward Him, scenes of the past appearing in my mind. The Desolation of the Church After graduation, I..
Zhou Li Being a preacher of the Three Grades of Servants Church, I felt quite helpless when seeing that fewer and fewer brothers and sisters came to the meetings. I had prayed to the Lord countless times, asking Him to strengthen the faith of the brothers and sisters, but the.. The Best Life Is to Worship Jesus! Going to church on Sunday morning in my childhood left me a special memory. After growing up, I heard the good news of Jesus’ second coming, and I felt so blessed. God’s love accompanies me all along. By Long Zhonghou In October, 1986, I believed in Jesus because of my wife’s illness. In February, 1990, I joined the sect of “Hua Xuehe.” From then on, I ran around preaching the way of Hua Xuehe, rain or shine. For his sake, I withdrew from the Communist Party, resigned..